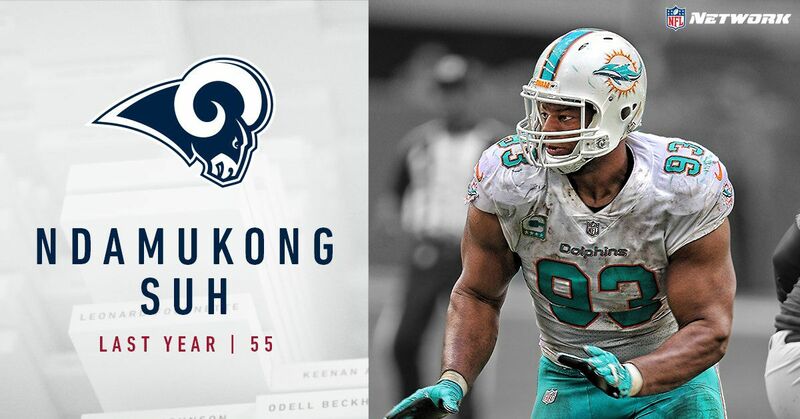 Los Angeles Rams DL Ndamukong Suh is the Rams’ third member of the NFL Top 100 for 2018 coming in at #61. Suh was preceded by CB Marcus Peters at #79 and LT Andrew Whitworth at #87. After an extended courtship, the Rams signed Suh in late March. That he has made this list for eight years in a row tells you the caliber of player the Rams have added to put next to DL Aaron Donald and DL Michael Brockers. While Suh is only in town on a one-year rental, his arrival bolstered the aggression of the Rams’ front office who is clearly in win now mode and has put together the makings of a Super Bowl or bust season. Suh might not be the last Ram to make the list. RB Todd Gurley hasn’t made the cut yet nor has Donald, the only Ram to make the list in 2017.